At Highlight Homes, we’re extremely proud of every single custom home we build and each luxury renovation we complete. To provide you with a clearer picture of our capabilities, we’ve selected a number of recent projects that demonstrate a cross-section of features, styles, living spaces and possibilities. 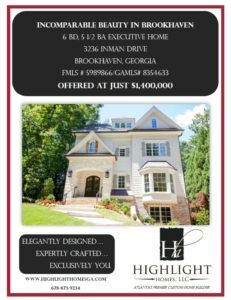 We hope they inspire you to partner with Highlight Homes to create something entirely original and utterly YOU in your next home or in the reimagining of the home you currently share with your family. 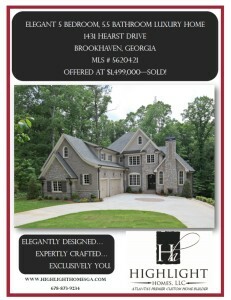 New Construction Home - 1431 Hearst Drive in Brookhaven - SOLD! 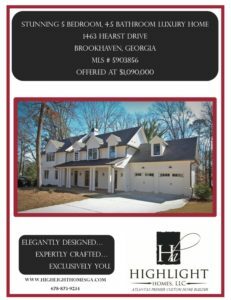 New Construction Home - 1463 Hearst Drive in Brookhaven - UNDER CONTRACT! 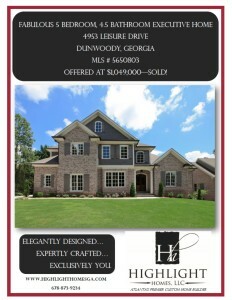 New Construction Home - 4953 Leisure Drive in Dunwoody - SOLD!